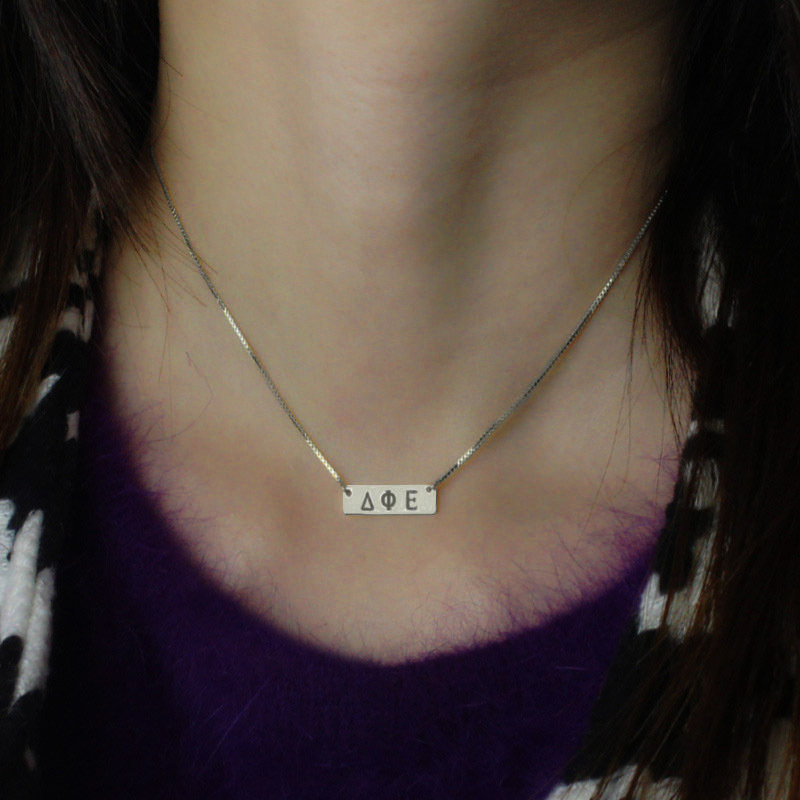 Click here for Greek virtual keyboard and paste name here. 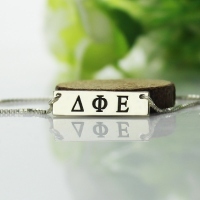 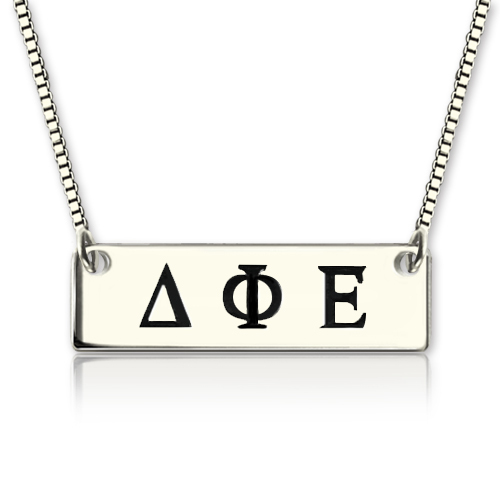 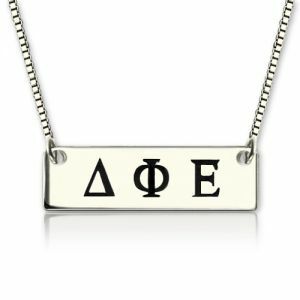 Custom Alpha Gamma Delta Greek Letter Sorority Bar Necklace - Personalized with any greek letters! 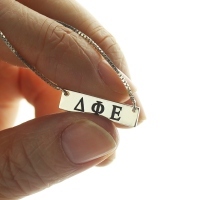 If you loved old symbol, then you can't miss out this GREEK LETTERS Mini Engraved Sorority Name Plate Bar Necklace is stylish.